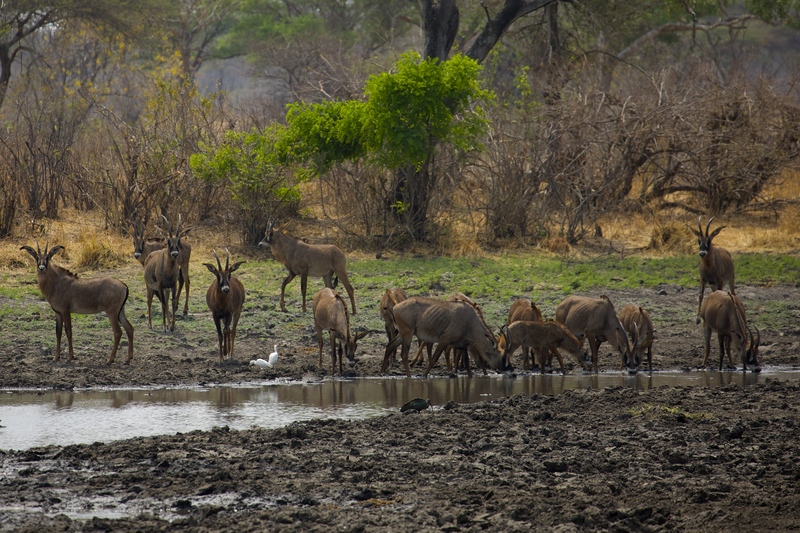 The spotting of Sable and Roan Antelopes in Katavi! 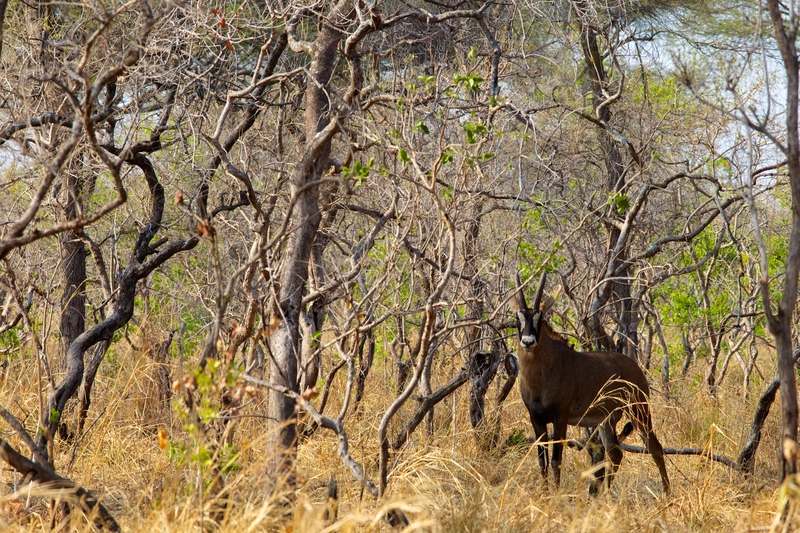 One of the great stuff in Katavi is that sometimes you can spot those marvelous antelopes! Last morning on the way to the airstrip boum! here they were, 2 cubs and 5 adults Sable's. As the season getting so dry, the chances are bigger as they coming close to the last remaining water points! A few days earlier, again, a male this time, all black, very shy, ran away from us straight, I know the photo is not the best but quiet an excitement! Sable's and Roan's are very similar in appearance and both overlap the same range of habitat in Katavi. The Sable Antelope is just slightly smaller, the male is black and female reddish-brown above, unlike the Roan Antelope’s rufous-grey colouring. 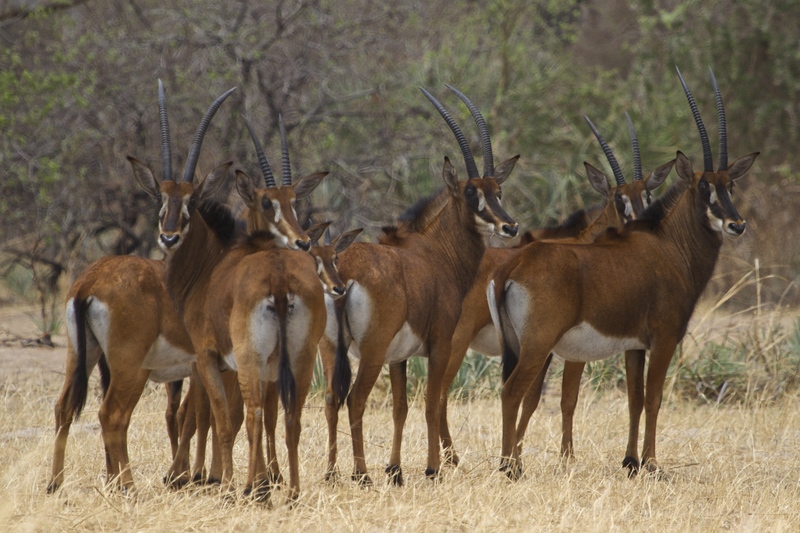 The Roan Antelope’s horns are shorter and less curved than the Sable’s. Here are the Roan's on the nexts photos, confusing isn't it? !